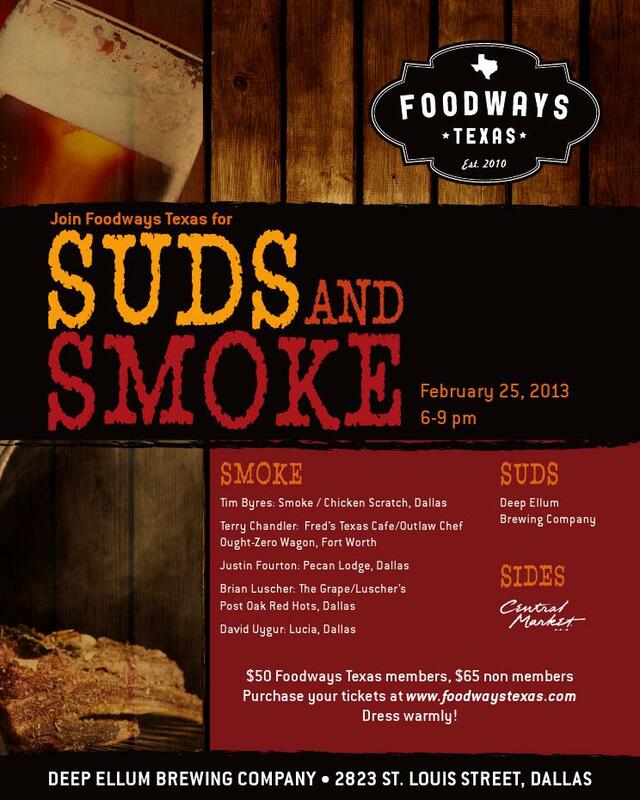 You should really join Foodways Texas and a line-up of stellar local chefs for plenty of smoked meats and beer. Deep Ellum Brewery is hosting, Central Market is providing the sides and the smoked meat will be prepared by some familiar names. Check out the flyer and get your tickets here.